Brian Gawor serves as vice president and is a member of the RNL Fundraising Consulting team. Brian’s focus is research and strategy to help propel the results of RNL clients. He also hosts the popular Fundraising Voices podcast and produces RNL’s research reports. He regularly conducts experiments with RNL partners to find new ways to engage contributors with donor-centric communications. Brian has 14+ years of higher education experience in student affairs, enrollment management, and development. He began his career directing the student ambassador and campus tour programs of Knox College, his alma mater. His efforts supported the achievement of record enrollment at Knox which continues today. He then joined the college’s $3 million Knox Fund and, with the help of RNL, set an institutional record for alumni donors during a tough economy. Brian also served for four years as director of development for the College of Fine Arts at Illinois State University where he grew giving by over 100% in the first year. He has an extensive knowledge of annual giving, major gifts, and alumni relations. 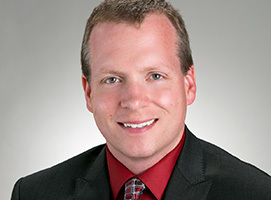 Brian received his undergraduate degree from Knox College, holds a Master of Science degree in College Student Personnel from Western Illinois University, and is currently completing a PhD in Higher Education Administration at Illinois State University. His research includes predictive modeling of donor response to personal solicitations.